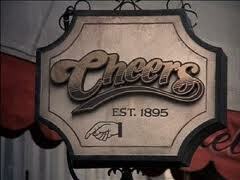 I have fond memories of Cheers, but, judging by this episode, the show doesn't hold up thirty years later. The plot of this episode is kind of a jumble. A man comes into the bar right before Christmas acting mysterious. He "accidentally" lets it slip that he's a spy to Carla, who becomes fascinated with him. She informs the rest of the bar, who crowd around the guy and start asking questions. The majority of the characters either accept his claims at face value or laugh them off, but Diane, being a know-it-all, needs to press. She catches him in his lies, which cause him to leave humiliated. The others berate Diane, because clearly she was wrong in calling someone out for lying to try and pick up a woman. The character returns and the twists start coming. First he's convincing Diane that he's a poet, which humiliates her. Then he tries to convince Sam he's rich, and he offers to buy the bar for two million dollars. Of course, he actually is rich, but by the time Sam's figured that out, Diane's already torn up his early retirement, assuming its another joke. Fortunately, Sam didn't really want to sell the bar, so he's not mad. The biggest thing jumping out at me was how much things have changed in the last thirty years. The moral of the episode seems to be that skepticism is bad, and following the plot requires the viewer to accept that it was wrong of Diane to try and stop a stranger from picking up her friend by lying. Throw in a B-plot with Norm not wanting to spend Christmas with his wife, and you've got some serious issues with misogyny. But I guess that was the era. Overall, the delivery wasn't bad, but the jokes were more uncomfortable than they were funny. Sure, there were some solid actors in this, and the series's premise - setting a sitcom in a bar - was a good one, which is why it lasted as long as it did. But I don't think there's any reason to track this down.